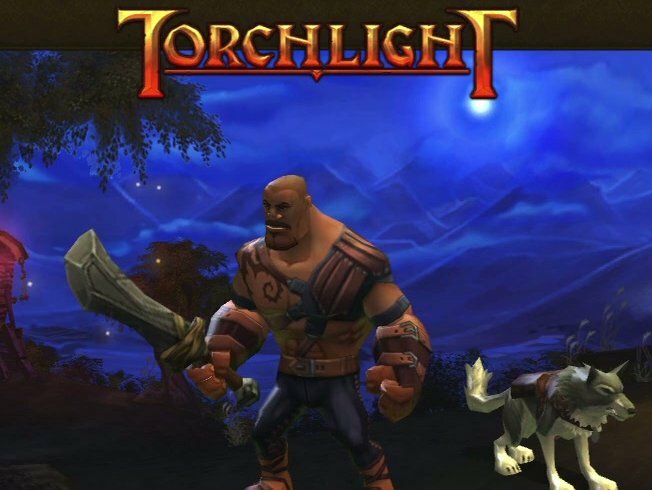 Visuals: One of the things that immediately piqued my interest when I got my first glimpse at Torchlight. While they aren’t by any means pushing the console’s GPU to its limits nor as breathtaking as some other games, the artwork style is more rounded and less realistic, almost cartoon-like. As I’ll touch on in a minute, it’s only problem here is the lack of variation. Locked to only a few settings and locations, it leaves the player (or at least me) wanting to see more of what the artists could have done with the more playful style. 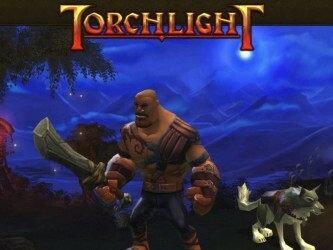 As stated previously, Torchlight is an action RPG. 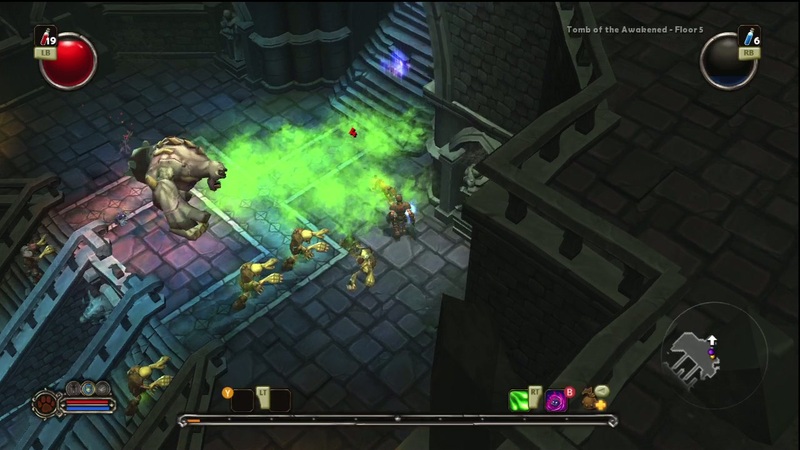 As such, the gameplay, while simplified, is what can be expected of the genre. 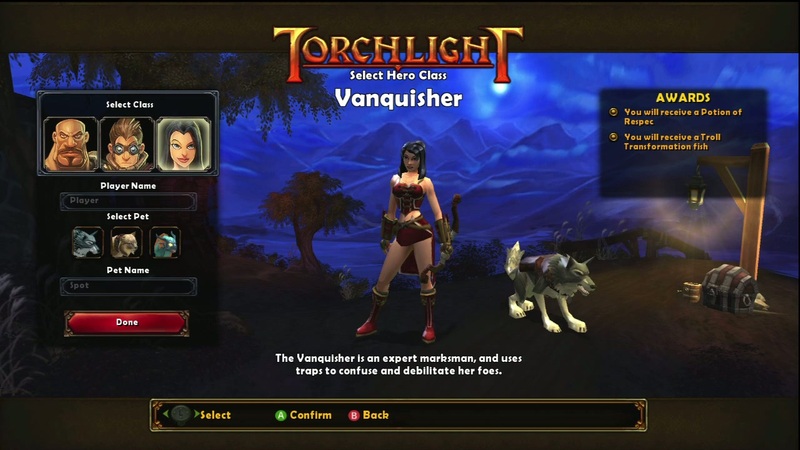 The player can choose one of three character classes, being, besides the name, the only character customization that can be made. The classes consist of: The Destroyer, a melee character with a touch of magic; The Alchemist, a mage; and The Vanquisher, a ranged weapon expert with the ability to set traps. 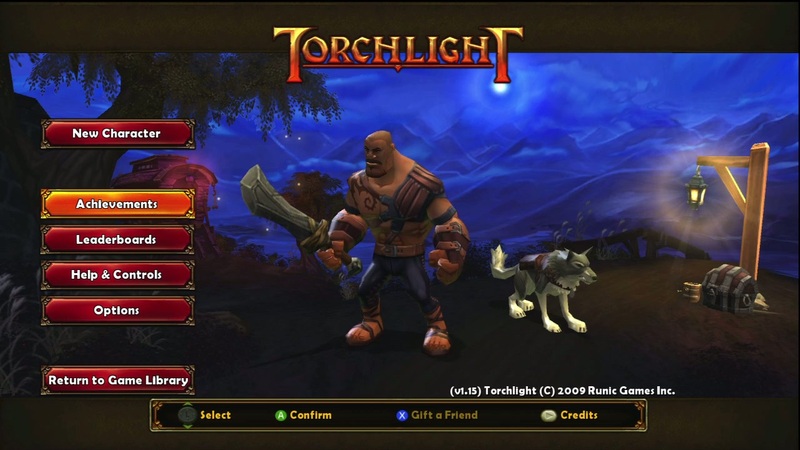 The player then has a choice between a wolf dog or lynx to aid them in their journey. Your pet is a useful member of the team. Aside from being awesome, your new found friend will join you in battles, transform into other useful beings with the help of some odd breeds of fish (i.e. turn into a Varkolyn after consuming a Batfish), and can even be sent to town to sell unneeded items. The amount of time this saves and the level of convenience this adds cannot be overstated. Your pet can even learn spells. Mine served as my healer, for instance. 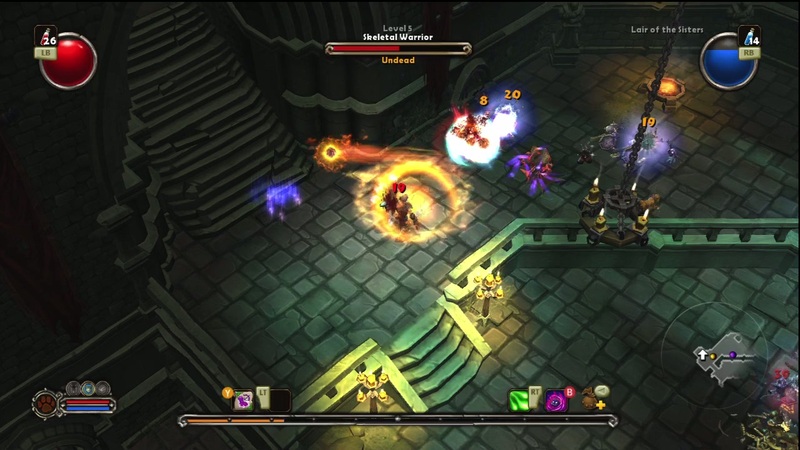 While navigating the mines of Torchlight and braving the foes that live within, the player can collect various armor, weapons, gold, and other loot. 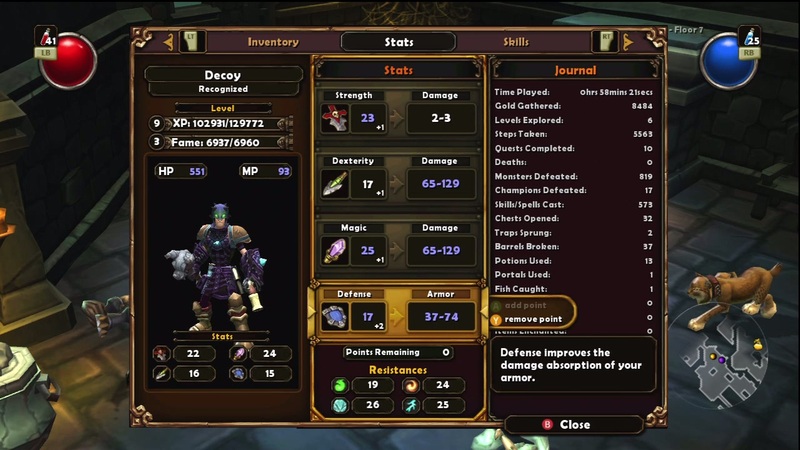 Some weapons can even be slightly altered with gems of varying enchantments. 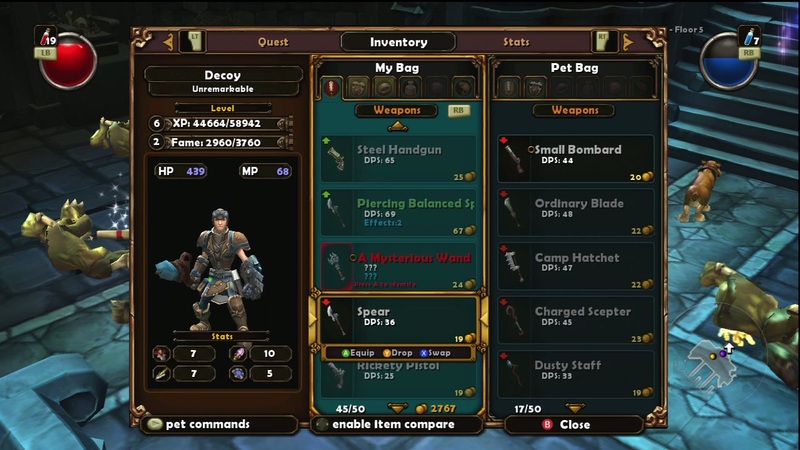 The interface does an excellent job of flagging which equipment will be an improvement over your current gear, and which ones will lower stats, making upgrading quick and painless. 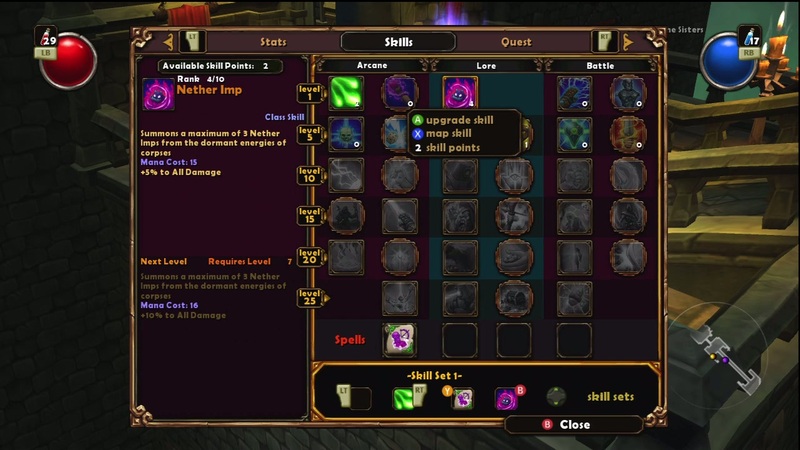 As you level your character up, aside from getting health (40) and mana (varies) increases, the player can choose different skills and attributes to upgrade via points. The Alchemist, for example, can upgrade until he has a veritable horde of summoned creatures, while the Destroyer can pull off devastating area attacks. 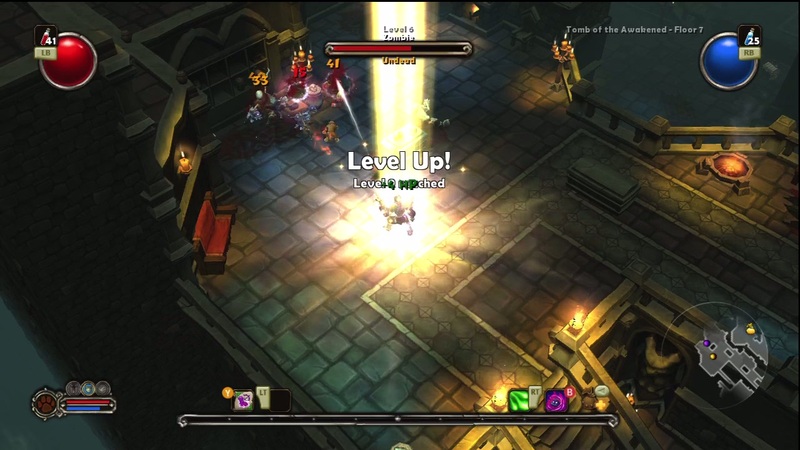 Separate from the experience level is a so called “fame” level, which essentially gives you an extra skill point now and then for killing epic versions of monsters. 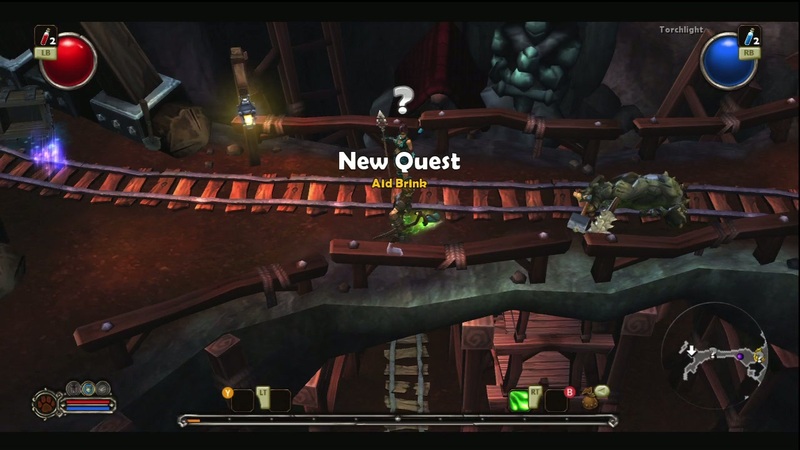 However, being limited to quests (main and side) in Torchlight and its nearby mines / dungeons, the game feels a bit restrictive. The ambiance fits the game perfectly. Sound effects and the usual background score play into the game without being too distracting. Even the voice acting (and casting) is very well done. Depending on the class you choose, your character begins with a different background story. However, the main story isn’t altered. 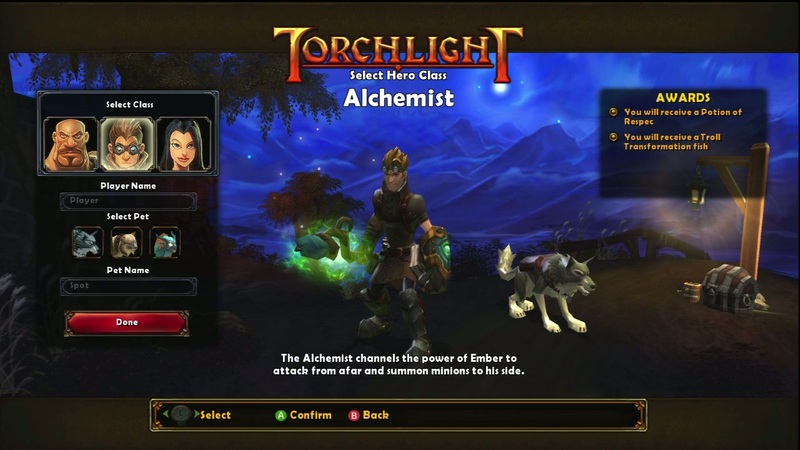 The town of Torchlight is fueled by the nearby mines, which are scavenged for their unique ore called Ember. The mystical ore can enchant people and weapons with magical abilities. 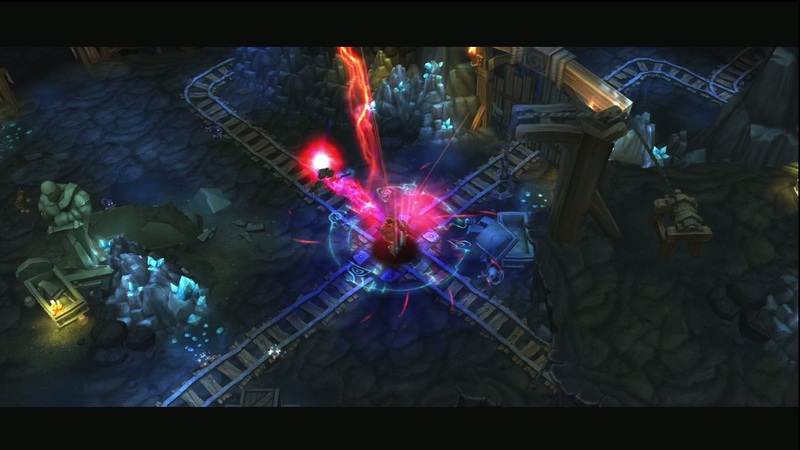 Upon starting the game, the hero is thrust into battle right at the edge of town. After a member of town chases a foe into the mines, a friend of his asks you to aid him in the search of their mentor. 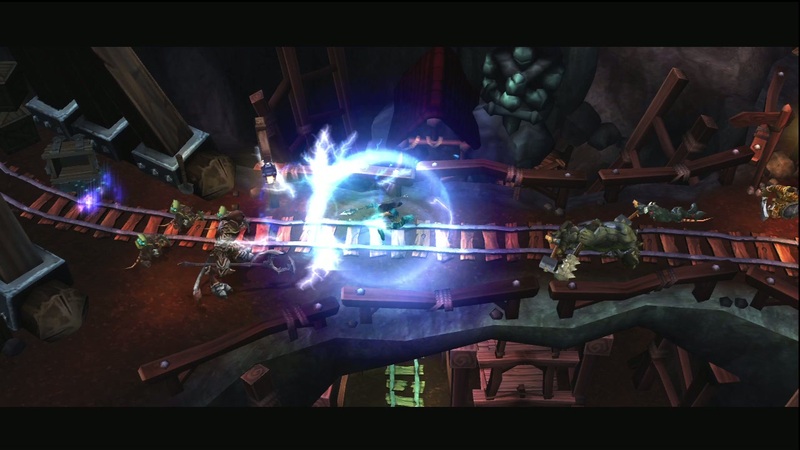 From here, the player navigates through the mine, fighting enemies, collecting weapons and loot, and navigating deeper. 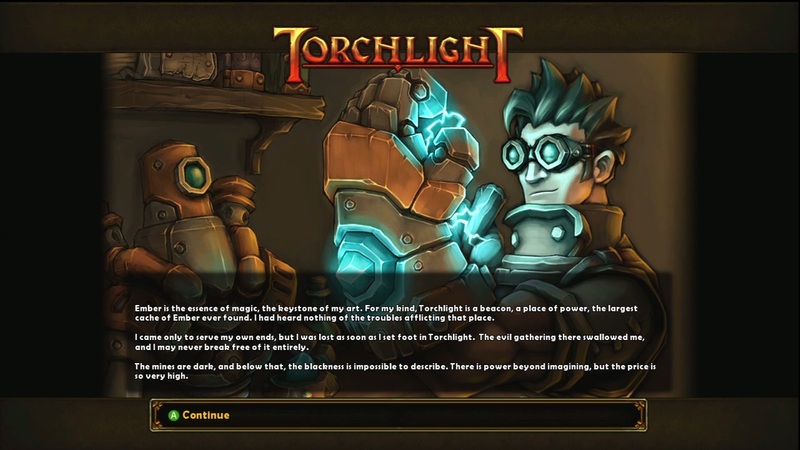 All in all, Torchlight is a solid game. 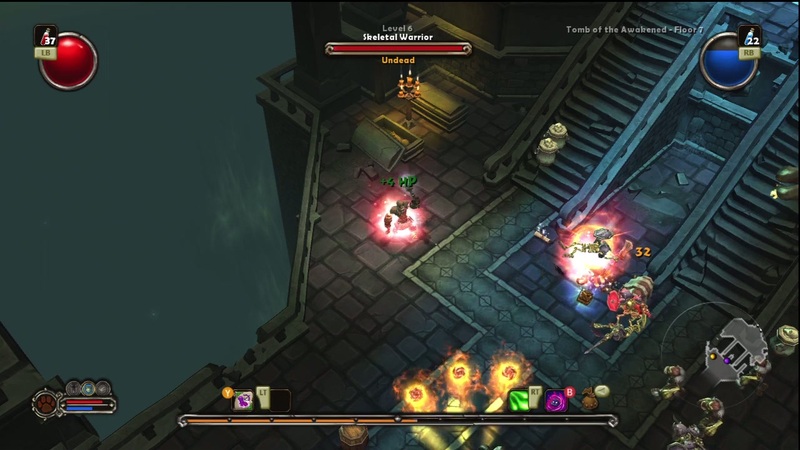 While a simplified action RPG, with nice console controls, it should find a home with the genre-savvy and newcomers alike. 8.0 / 10: Interesting story, fun gameplay, immerse environments… enough said.